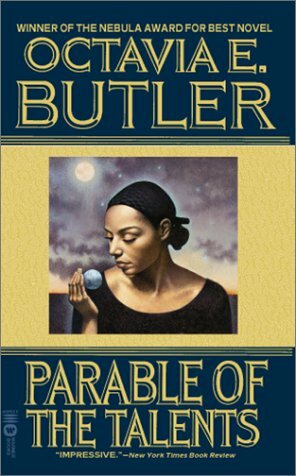 There has not been a novel that caused such discomfort, challenge my assumptions, or made me defensive while reading like Parable of the Talents by Octavia Butler. It is the sequel to Parable of the Sower and continues Lauren Olamina’s quest to create a new religion, Earthseed, in a believable and frightening post-apocalyptic America reminiscent of Cormac McCarthy’s The Road or the movie, Book of Eli starring Denzel Washington. If the novel’s title sounds familiar, then you would recognize it as one of Jesus’ most popular parables from the New Testament Book of Matthew, Chapter 25:14-30. The parable deals with a master giving out talents to his servants and those who received multiple talents could add more from what they were given. While, the servant who only received one talent could not multiply his portion and got punished by his master because of it. With that parable as the novel’s backdrop, Butler continues with Lauren’s story in an epistolary format through the eyes of her daughter, Larkin. She discovers her mother’s writings and is determined to learn about this woman who create this strange religion that came between their relationship. Lauren’s writings revealed a bleak and terrifying America where an alt-right Texan Senator Andrew Jarrett becomes president. Jarrett’s campaign slogan was the same one that a certain presidential candidate has adopted. Butler’s prescience appeared throughout the novel and made it the most challenging parts for me as a reader. However, I felt Butler went into caricature with Jarrett and the alt-right’s version Christian America as the antagonist of the novel. I believed in some of the scenarios of wanting America to return to its Christian heritage (not historically accurate) being believable. Butler did not provide enough motivation or depth to the antagonist that would have made the story even better. It seemed as the author through Lauren’s letters wanted to unload on right-wing ideology. That wanting to unload on a ideology is less effective in a work of fiction. 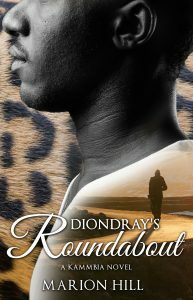 Despite that objection, Butler wrote a blunt and powerful novel. Also, she is an excellent storyteller and regardless of my discomfort I kept turning the pages until the end. Butler has deserved her reputation as a giant in science fiction and the Parable books cemented her legacy. I highly recommend Parable of the Talents. But, I would suggest that you read Parable of the Sower first. They are two halves of a whole work of art and you will get the full effect of Lauren’s attempt in trying to create Earthseed.